Windows Vista is an obvious flop. With all the praises that most people gave it when it first hit the market, Microsoft now finds itself trying to win back its customers no thanks to the defects and problems that this erring operating system has caused. And the savior�s name? Windows 7. Why you may ask? For one, operating systems cater to all levels. But one thing noticeably missing is the very basic version of the OS. We saw that in Windows Vista but it seems that it only caused a lot of problems rather than results. In fact, don�t be surprised if you see an upgrade version which allows current Windows XP users to upgrade straight to Windows 7 to avoid the issues with Vista. But that remains to be seen. Microsoft has a lot of work to do to cover up the mess that Windows Vista caused. Many users reverted to Windows XP but do bear in mind that Windows XP is no longer available in the market. Windows 7 has been programmed to use lesser resources. This should be welcome news to all Windows OS users. This was one of the issues with Windows Vista and apparently Microsoft has learned its lesson. Will Windows 7 click? Expect reviews and feedbacks once it hits the market in 2009. 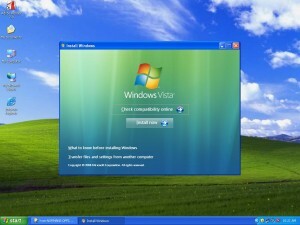 Ask around today and many are regretting using the new installment of Microsoft, the Windows Vista. We have had a knack for getting in with the times but apparently this time is an exception. Unlike the previous operating systems released by Microsoft, the slow process and system performance the Windows Vista is entirely irritating and more PC users today are trying to revert to Windows XP even if they are no longer updated nor offered for sale by Microsoft in local stores. Would the PC user care at all? Apparently they don�t care if no more updates or patches would be released. They can wait for an improved Vista or perhaps another operating system that can be launched. In short, use anything but Windows Vista is what people are concluding right now. Windows Vista seems to have a lot of areas that are not covered. Such is typical for most initial releases of Microsoft operating systems but the problem is that a PC owner cannot just format their hard drive similar to the past. They have to break the Vista system which may take some further steps which have already been posted here some months back. If you want a review of how to go about it, you can check it out here. We cannot avoid incurring these issues. Apparently, the need to reboot and place the PC in safe mode is a problem for most. Some would restart it manually with the hopes of being prompted to go into safe mode. The traditional way is to press the F6 button before the Windows XP logo shows so that you can get yourself into the menu which asks if you want to start normally or pass via safe mode. Depending on the degree of damage, the loading time may vary. Remember that in such cases, loading of chosen programs are in progress. If there are a lot of programs installed, it may take a while. Don�t panic. Just wait for the loading screen to finish and the safe mode will come out. When you are in safe mode, don�t expect all programs to run. Anti-virus programs may not be present at this time nor your Internet connection. These may have been cut off due to limited resources. So before you resort to safe mode, make sure you have jotted the things you need to address that may include the registry editing for manual removal of certain command lines. This approach is restricted to the techie people. But if you follow the right steps from information on the web, you can get the job done and feel great about it. Just be patient and follow the tips so that you can have your OS up and running good as before. If you are using Windows XP, you may be surprised to find that after installing the Windows XP Service Pack 1, the succeeding ones are hard to install. For people who are unaware of the consequences of forcing the issue, the Windows Genuine checker will stop you from installing the Windows XP Service Pack 2. So if you cannot get past that, don�t expect to reach the Service Pack 3. 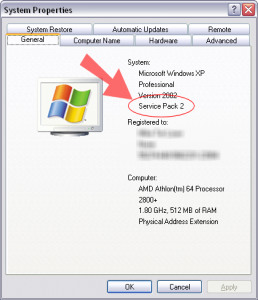 There are software (mostly pirated) that integrate the service packs to the Windows XP OS. Now that may be a good way to go about it but do remember that Microsoft is now on the prowl for pirated software and it can be detected using the update option to which the wiser ones have chosen to turn off. But the real question is on whether you do need these service packs for a more stable operating system. There are issues such as driver issues and system crashes. Malware intrusion is another issue since some ports are prone to attacks if they are not covered. In a nutshell, PC users have little options as far as being able to choose of updating their OS for better security and updates or making do with their version that can be susceptible to viruses. Such is a risk and price to pay for using pirated software. But if you don�t want to get caught, you are left with very little choices at this point. To avoid it all, just buy the genuine one and save yourself the trouble of legal and technical issues for your PC. We see a lot of hard disks in the market today that come in large sizes. We see 80 gigabyte hard drives up to 160 gigabyte. That is quite a large storage capacity if you compare it to the old ones we have some years back and one thing you should be aware of is that the larger the storage, the risky it is as far as perhaps losing data once the hard disk crashes or breaks down. The best way to go about it is to partition the hard drives into smaller parts. For example, you can partition an 80 gigabyte hard disk into 2 40 gigabytes or even 4 20 gigabyte drives. As you can see, even in smaller partitions, they are still big and normally for most operating systems like Windows Vista or Windows XP, the most you would need would be about 4 gigabyte at the most. When it comes to installing software, you can install it on the other drive letters assigned. For example, you can install MS Office in drive D or an anti-virus software in drive E. This helps ensure that you are balancing the applications you are installing which in the end can save you the trouble of losing space. For documents, you don�t have to always follow the usual My Documents on the C drive. You can configure it in a way that it is saved on the other drives. 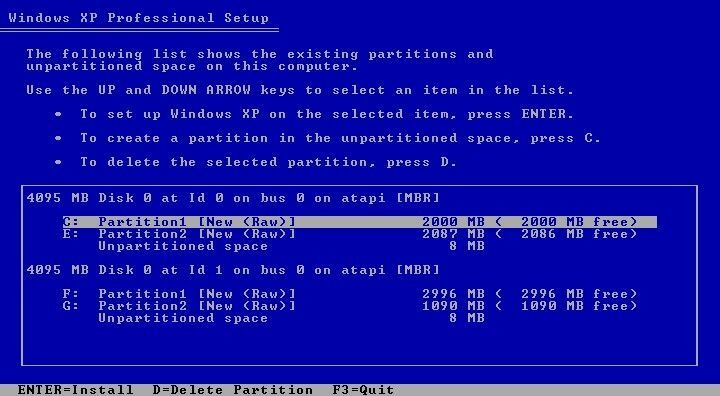 Or if you are lazy to configure, the beauty of partitioning is that you can easily transfer in between drives so that if crashes occur you can retrieve the files and transfer them via DOS or Windows. Partitioning can be done on the setup menu during your first installation of Windows. Decide and then assign what partition size you want and then install from there. Do you Believe in System Restore? One thing about Windows XP that makes it a good system to use is the system restore option. But while it is present, not many people know how to use it properly. For people using a PC that don�t bother to set a restore point, chances are it is useless. Perhaps it can as far as placing you on the first day that you installed the operating system. Others turn it off, since among the issues would be contamination coming from viruses and malware that go along each time you backup your entire PC system. System restore is the easiest way to get out of problems like crashes or failure to load of your OS. It sounds easy to do but the thing is it all depends on at which point you had backed up everything, including programs and files that you had made. So if there is something that may be a problem, it would be these two areas. But considering that you only need to install the programs and at the worst scenario, redo the files you had lost (assuming you did not save any backups). In all, system restore is a privilege but there are people who would choose to format and install a fresh operating system. If you think of it, it is logical. If problems persist during your last use, then chances are they will occur again. It is hard to trace them but at least with a new formatted PC, you have lesser problems and correct the errors starting from scratch. At times, you cannot avoid encountering hang-ups as far as your PC is concerned. For one, you may never know if programs have gone corrupt or are encountering errors as far as compatibility or even longer time to load than usual. Before you know it, you will see that message right after the title bar saying �Not Responding�. So what do you do? For the novice users, the reset button is the immediate recourse. Of course when you do that, you will be taken to the usual scandisk before it loads once again to the actual operating screen. But while that is perhaps the easiest way to remedy such a problem, you can always try the old fashioned way to bring up the task bar window, press the CTRL+ALT+DELETE. Normally, in the old Windows versions like Windows 98, it would automatically reset your computer like pushing the reset button. But today in Windows XP, it brings up the Windows Task Bar Manager to which you can see the processes running and which programs are not responding. Do you notice that one option that says �Shut Down�? If you want to follow the right way to shut down your PC then use that and you can avoid the troubles of having to scandisk and put your hard drive and programs in jeopardy. Some may know this but don�t really follow. But the number of times you reset manually can cause a lot of problems like crashes and system instability. Try the old fashioned way using the CTRL+ALT+DELETE. It is safer and wiser to use. Everyone gets excited when there is a new operating system or software that Microsoft unveils in the market. But while most of the software that Bill Gates has introduced seem to always have bugs in them, it is quite interesting to note why the various operating systems that they unleash are always susceptible to bugs and patches. It is understandable that operating systems are not immediately perfect once they are offered in the market. But it makes you wonder why Microsoft is always wants to distribute software that will always have its share of problems to which they should have foreseen. The answer here lies in a business aspect meaning if you are not updating your product line, your brand and image may fade fast if you don’t have another product up for release. Knowing technology, this should always be ongoing. If you wait too long, the continuing process of product development may stand still and millions will be lost in the process. Also, looking at the patches and service packs that Microsoft always announces, it can be seen as a form of marketing so that they can likewise keep track of who are using their products. How? Well have you ever wondered why aside from packaged service pack CD distribution, you are directed towards their site whenever patch updates are offered. You can just imagine the load that their servers have to accommodate with practically the whole world having a Microsoft product in their home or office. But at least they know that the number of people who have bought their product are ranging from millions to billions.